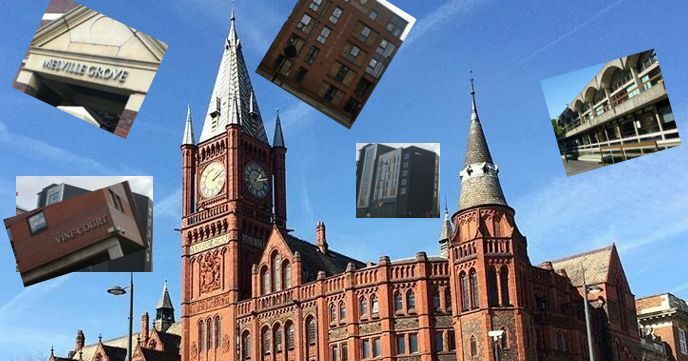 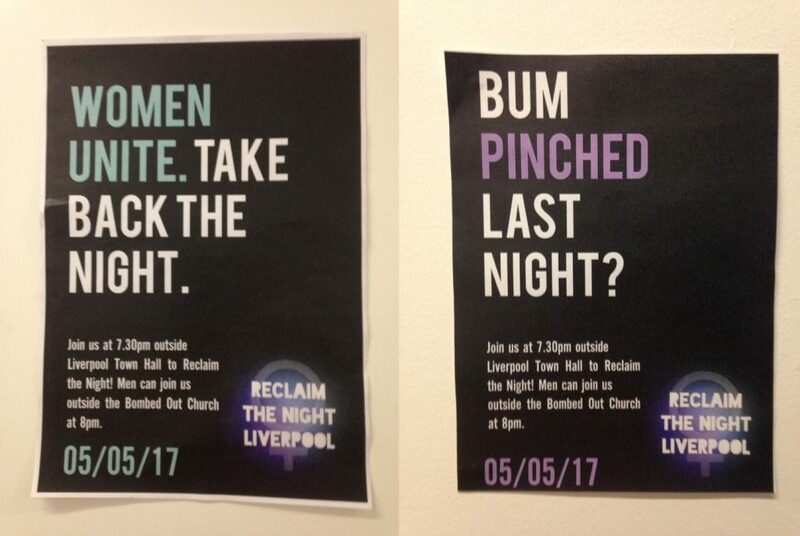 On Friday night, from 7.30pm, hundreds of women marched for Recaim the Night Liverpool. 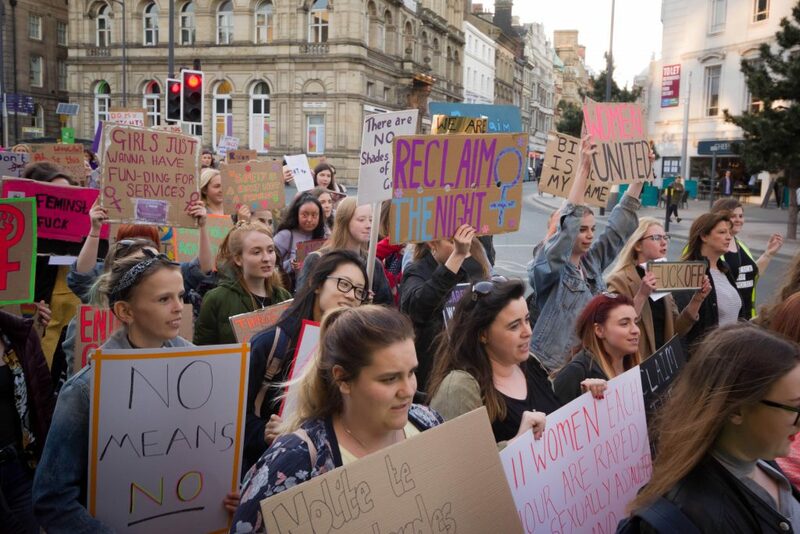 The march began at the Town Hall and went through Liverpool city centre to protest against violence against women. 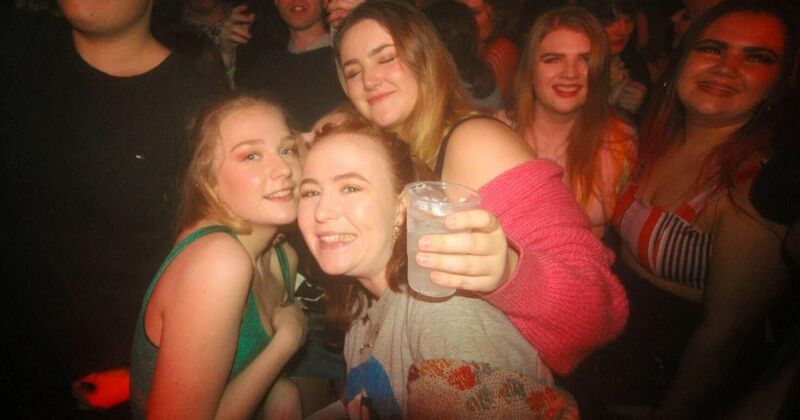 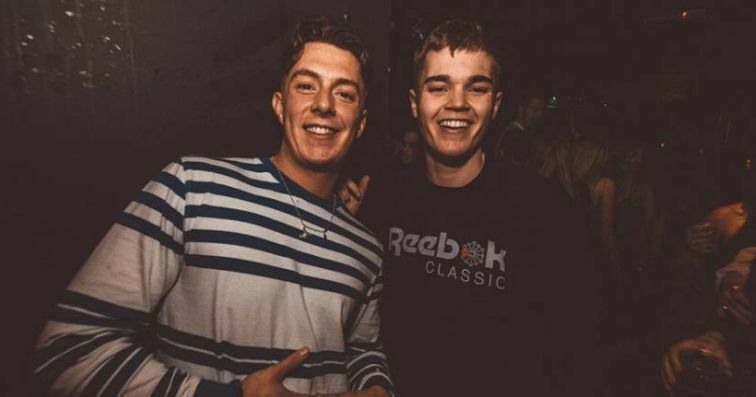 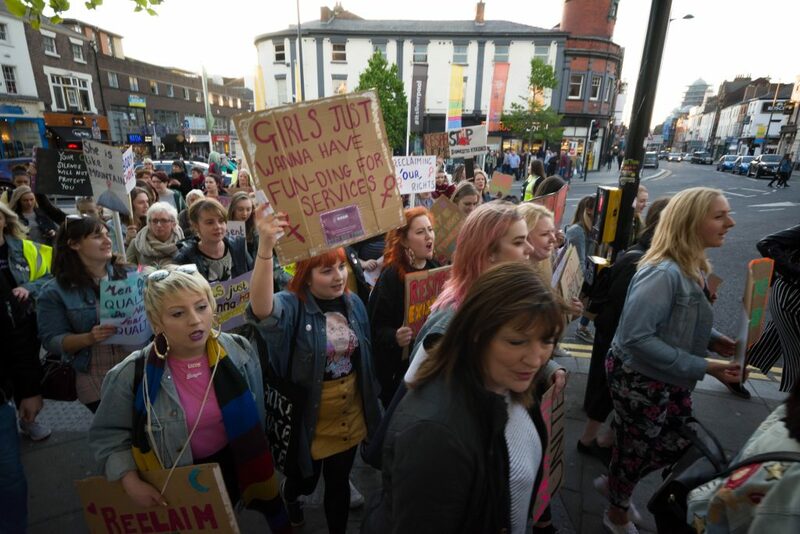 The march was joined by male allies at the Bombed out Church and ended at the Guild where there was after party which included speakers, live music and poetry. 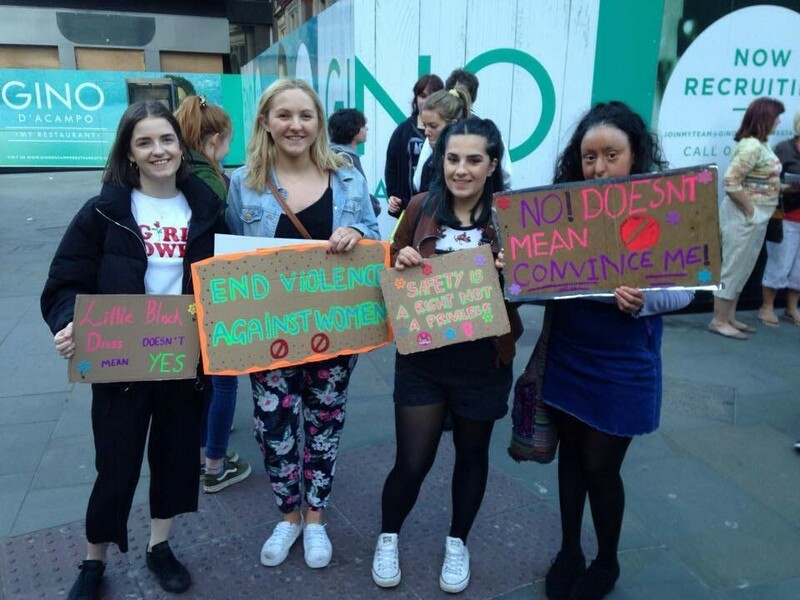 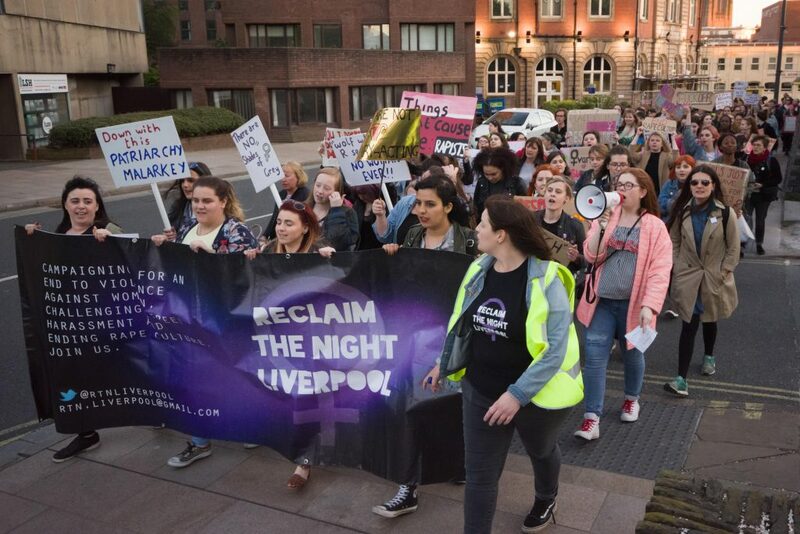 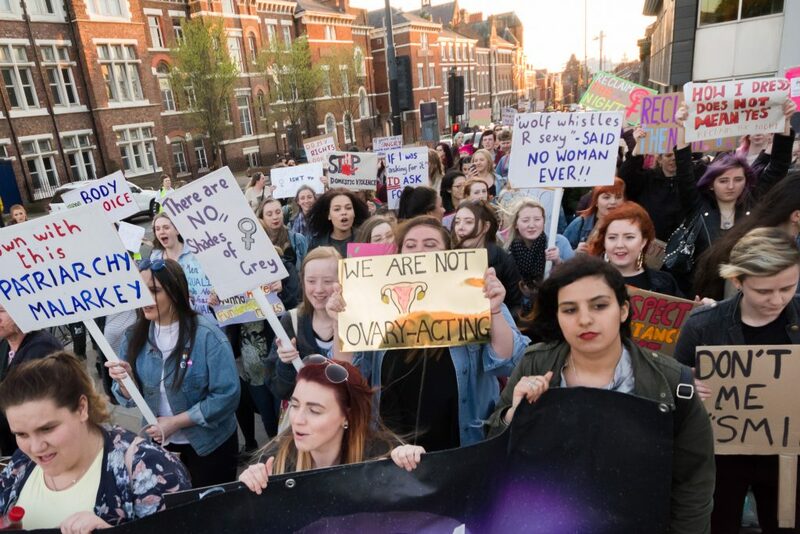 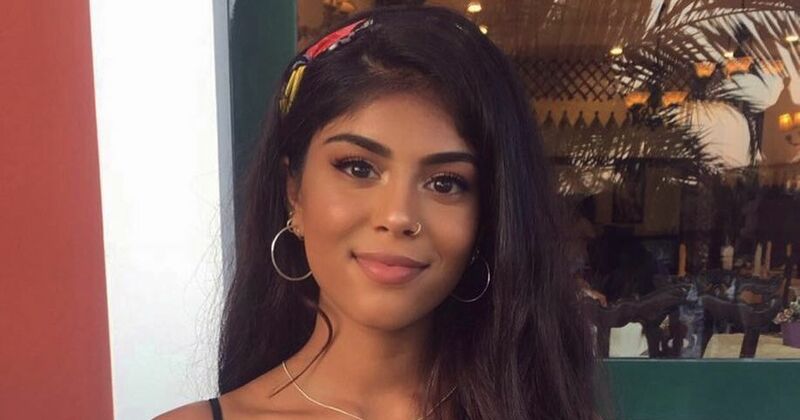 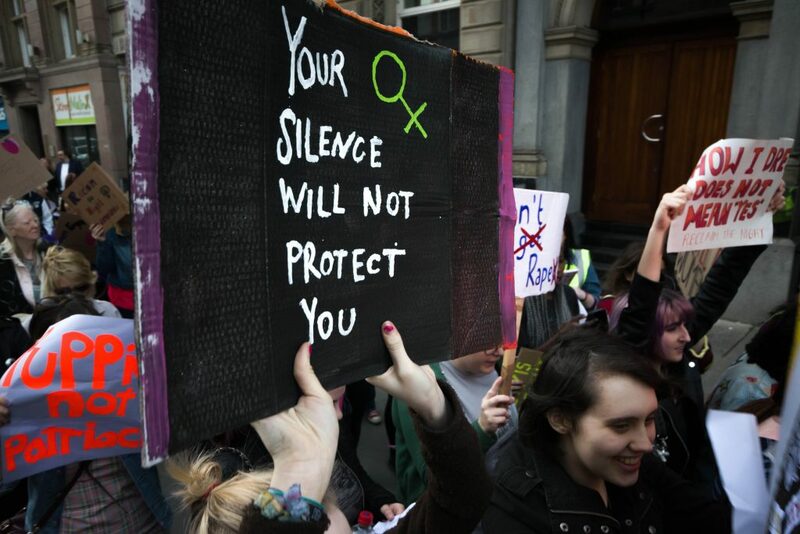 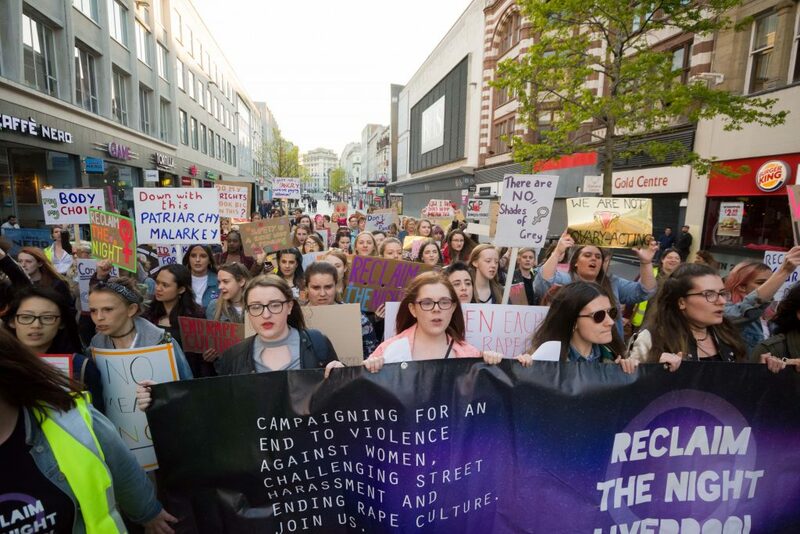 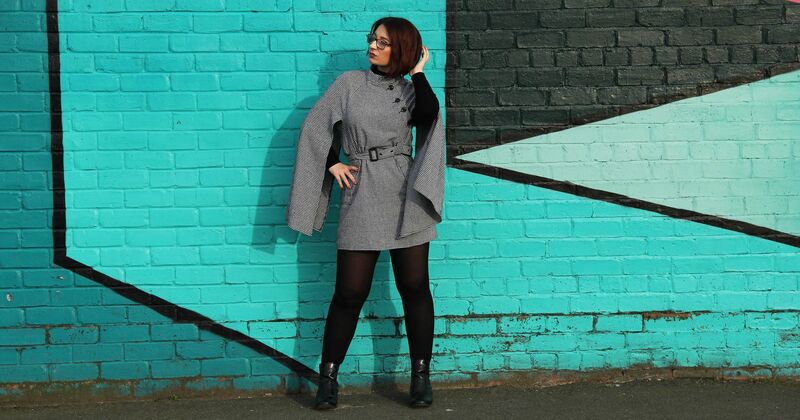 “Reclaim The Night Liverpool’s fifth march takes place this year but RTN, a movement which campaigns for an end to street harassment and sexual / gender-based violence, boasts a much longer legacy. 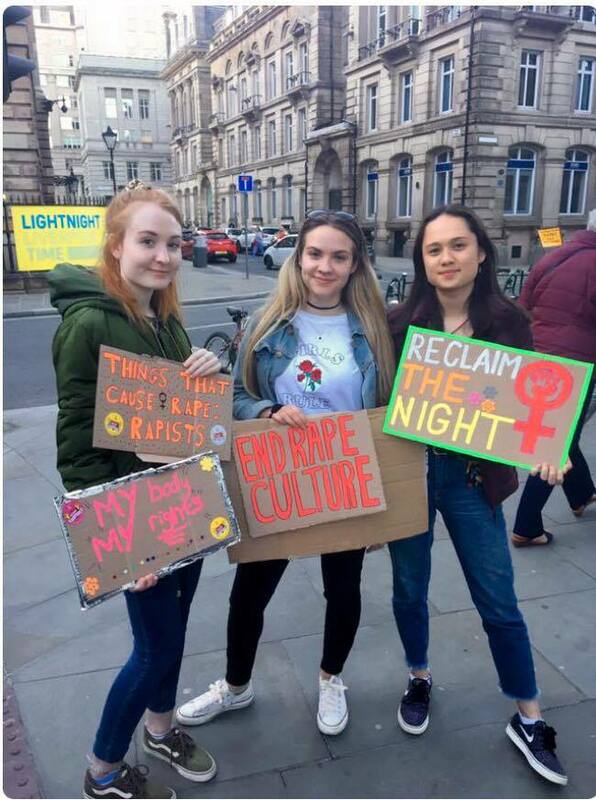 Originating in Leeds UK, in November 1977, Reclaim The Night was inspired by a series of marches called ‘Take Back The Night’ coordinated by women in Germany the same year. 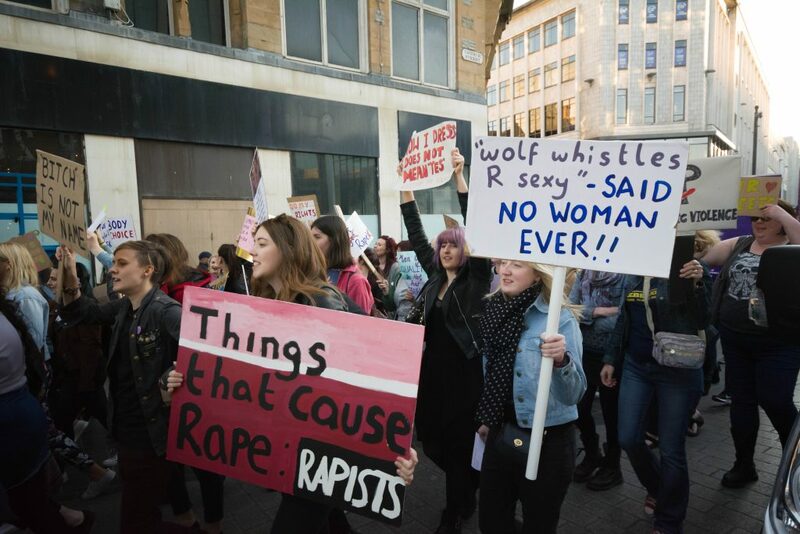 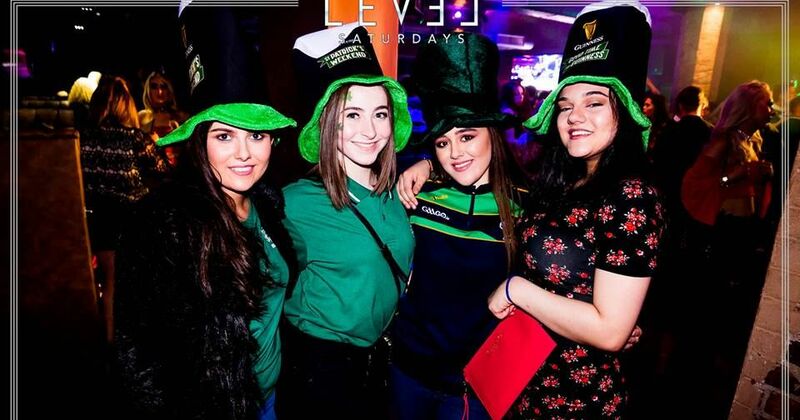 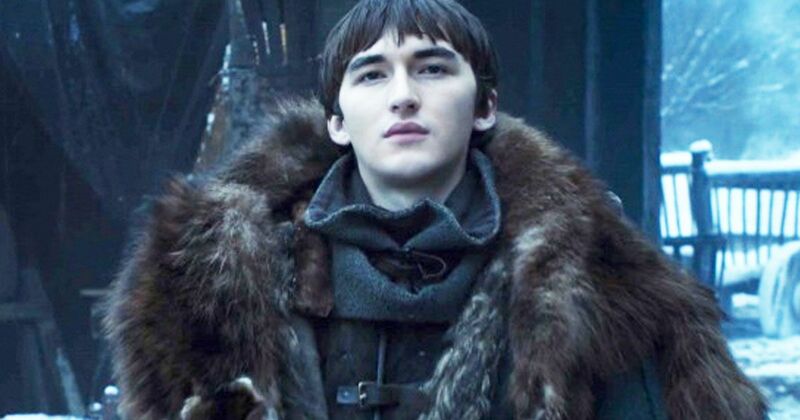 “The marches were also a result of public outrage in response to the police and press reaction to the serial sexual attacks and murders of women in Leeds by Peter Sutcliffe, dubbed the ‘Yorkshire Ripper’, between 1975 and 1980. 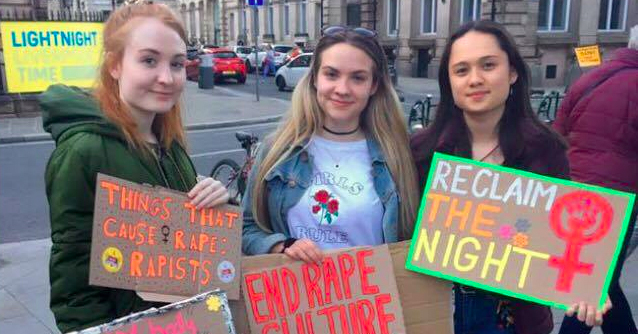 The police response was to tell women not to go out at night, effectively putting them under curfew. 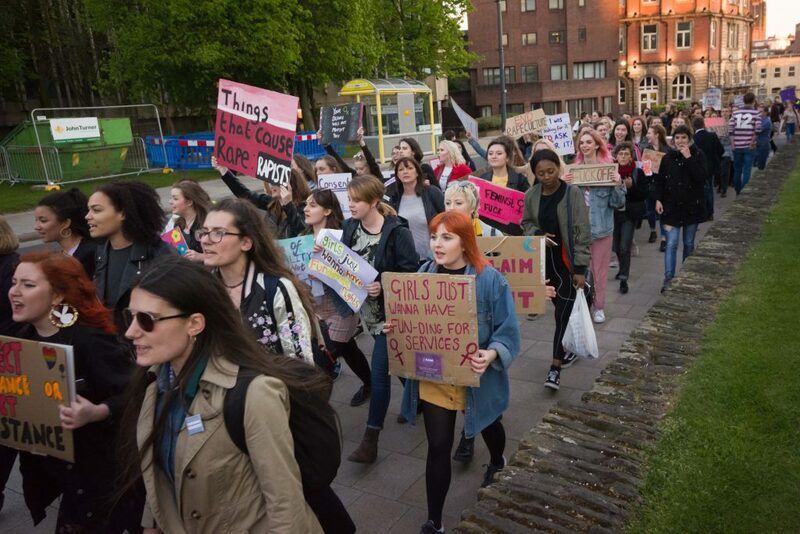 Were women expected to stay indoors for the duration of Sutcliffe’s evasion, which lasted 5 years? 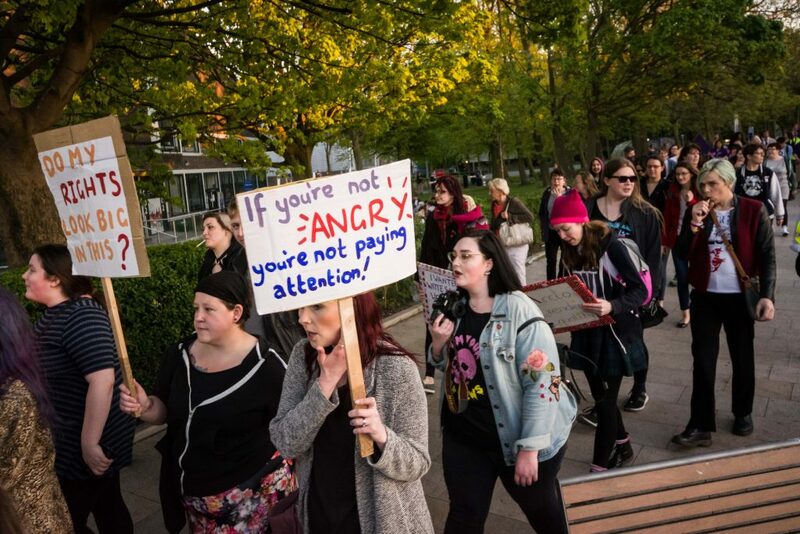 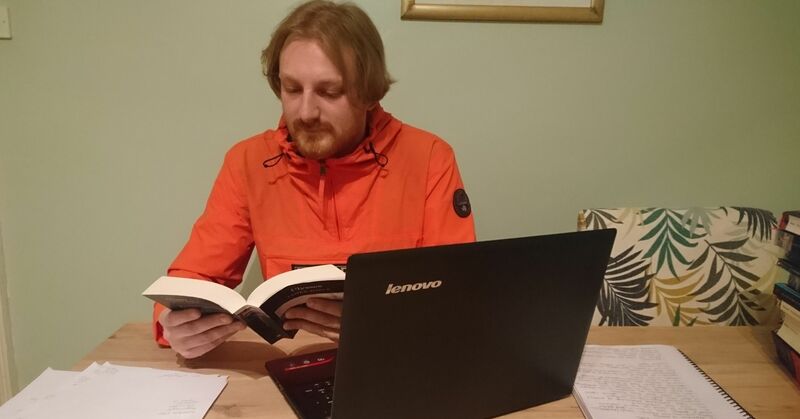 Pictures below credited to Liam Joelson.